Insect follows Papilionidae family, and Lepidoptera order. 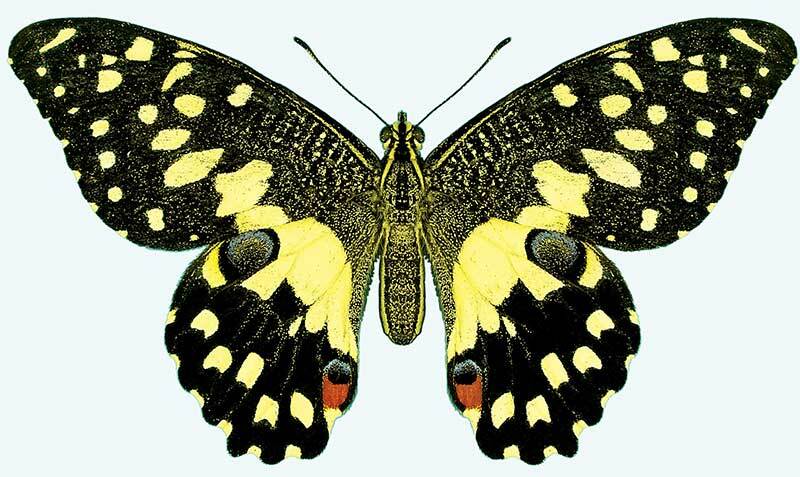 Wing is yellow and black with two lower red spots. Wing is about 80-100 mm long. Larvas attack plants of Rutaceae, causing great economic harm to them.